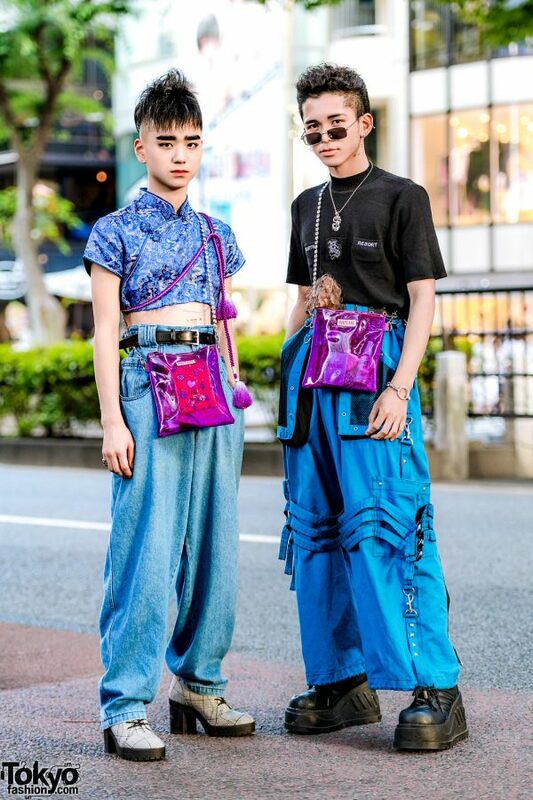 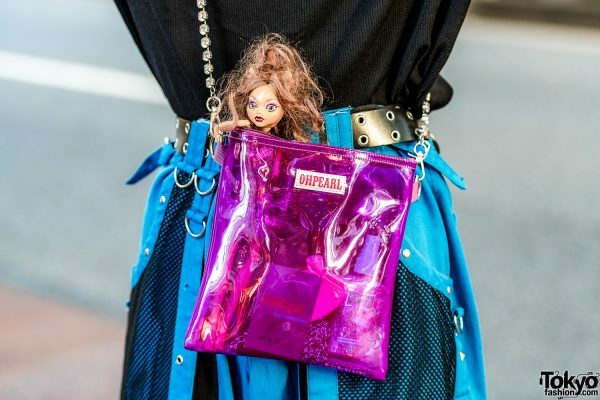 In Harajuku, we met Billimayu and Eiji, two teens whose eye-catching street styles often gets them featured on our street snaps section. 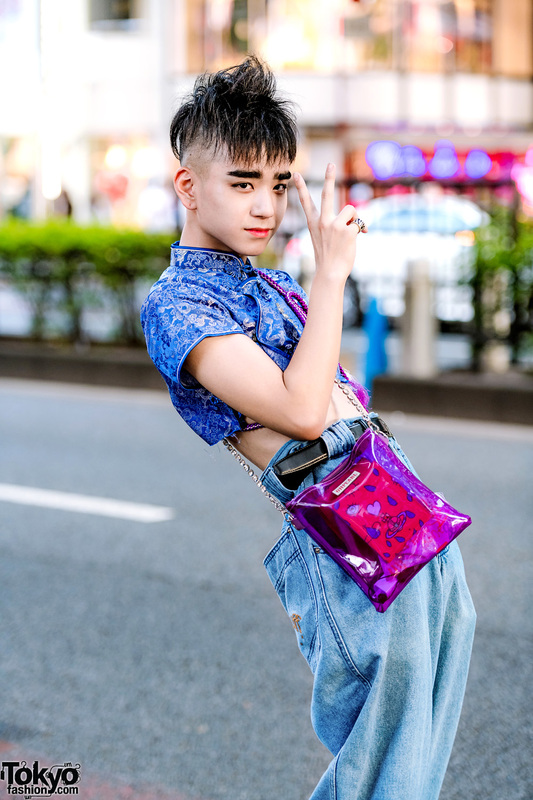 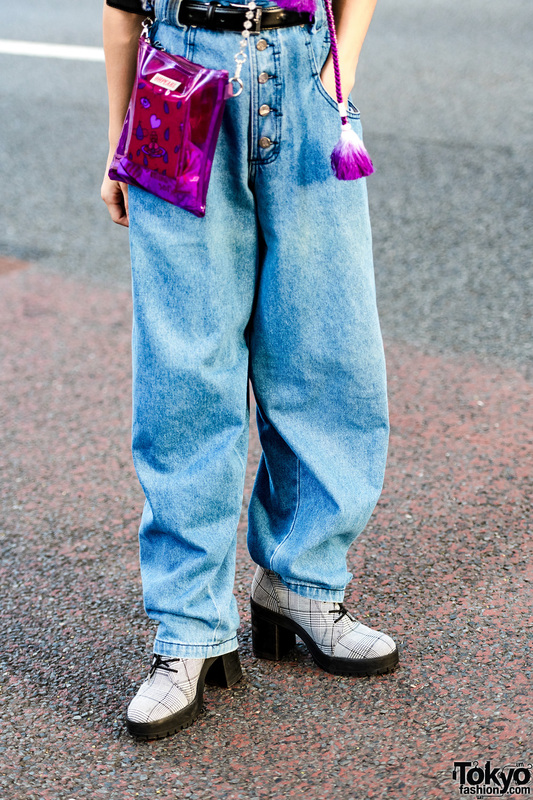 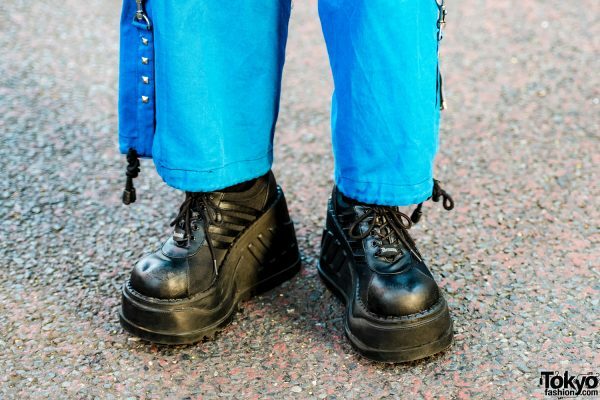 At the left sporting a spiky mohawk and his trademark thick eyebrows, Billimayu is clad in a vintage cropped mandarin collar top, which he styled with a pair of vintage high-waist denim pants, and plaid ankle boots from Forever21. 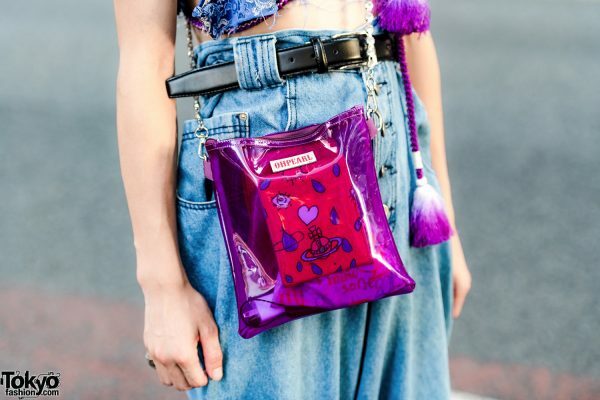 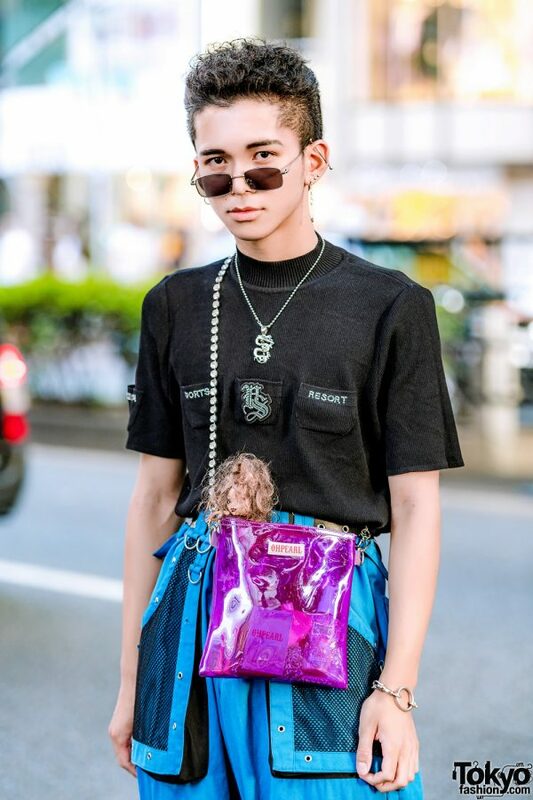 The 16-year-old student embellished his outfit with a purple rope tassel, a leather belt, a silver pinkie ring, and a purple Oh Pearl see-through sling bag with a beaded chain strap. 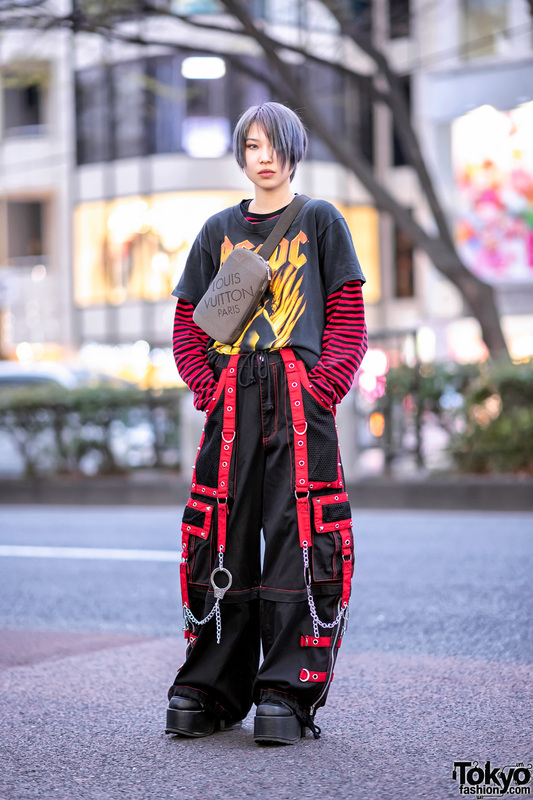 Billimayu’s favorite fashion label is Givenchy, and he likes the music of Big Bang. 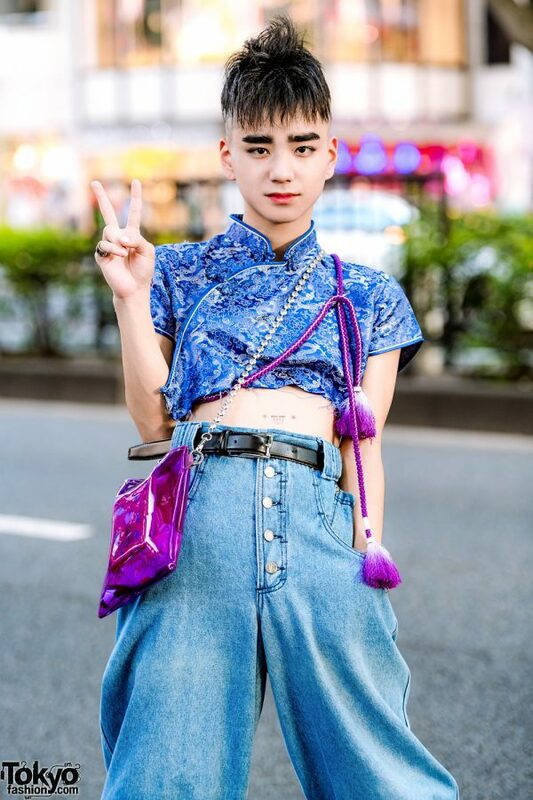 Follow Billimayu on Twitter and Instagram. 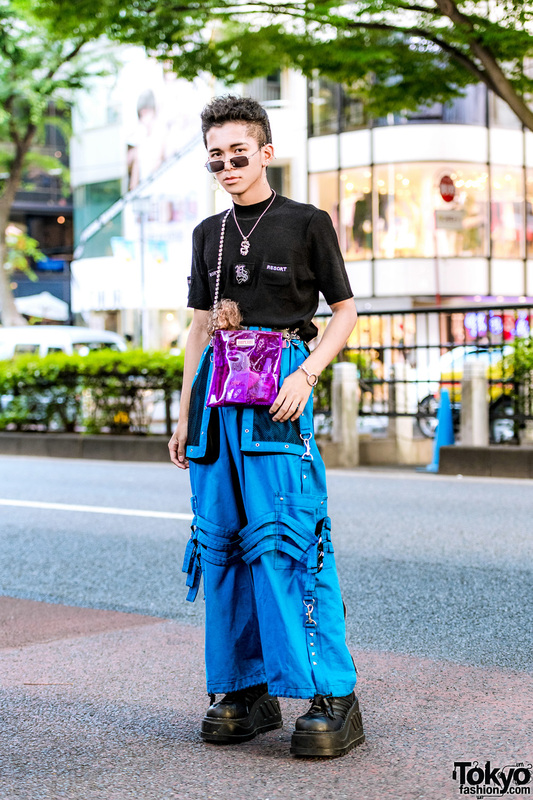 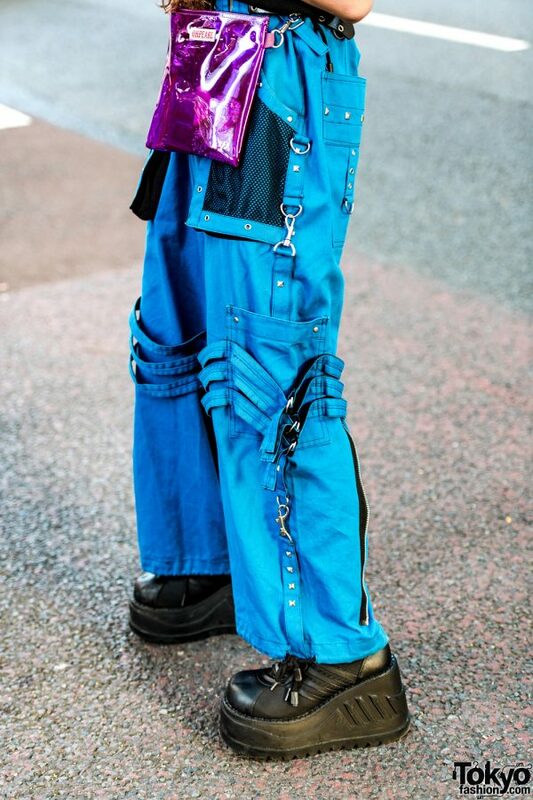 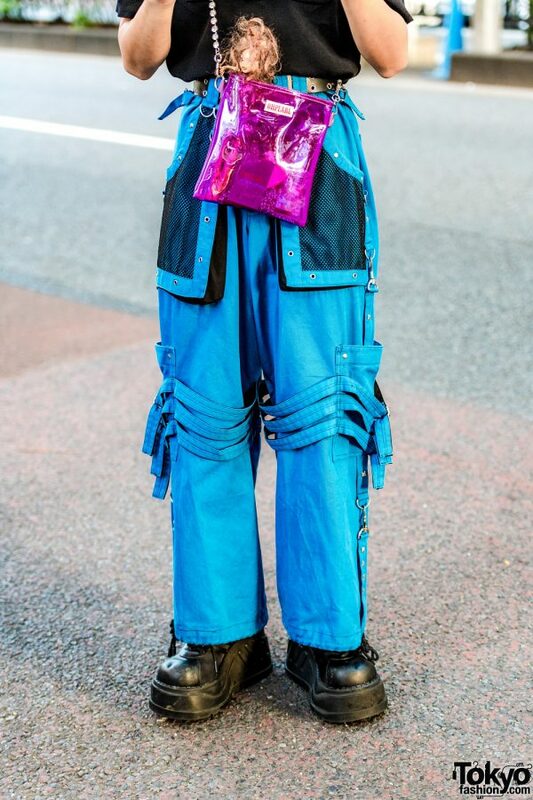 Meanwhile, 16-year-old Eiji’s outfit consists of a black mock-neck shirt from King Family, blue wide-leg pants with strap details and mesh pockets from 0.14, platform lace-up shoes from Demonia, accessories from Faith Tokyo, and a purple see-through sling bag from Oh Pearl. 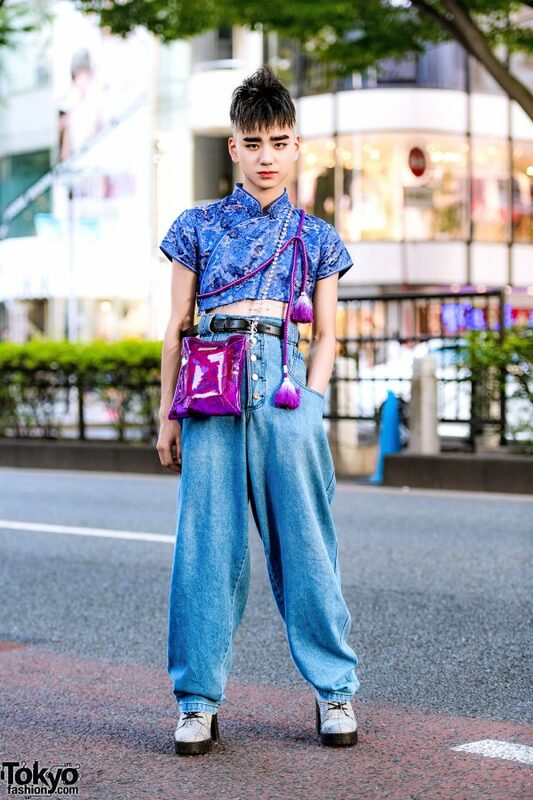 Eiji’s favorite brand is M.Y.O.B, and he likes listening to the music of BTS. Eiji is also active on Twitter and Instagram.